April 7, 2014 By This post may contain affiliate links. 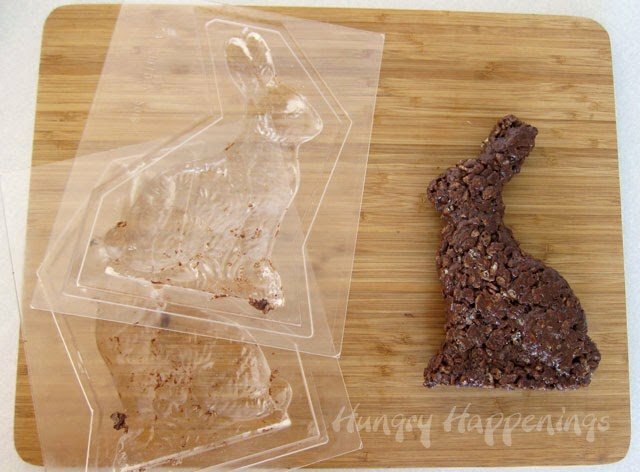 Do your kids love chocolate but never finish that gigantic bunny in their Easter Basket? 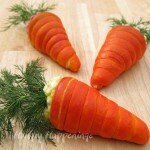 This time instead of buying a bunny at the store, make your own! 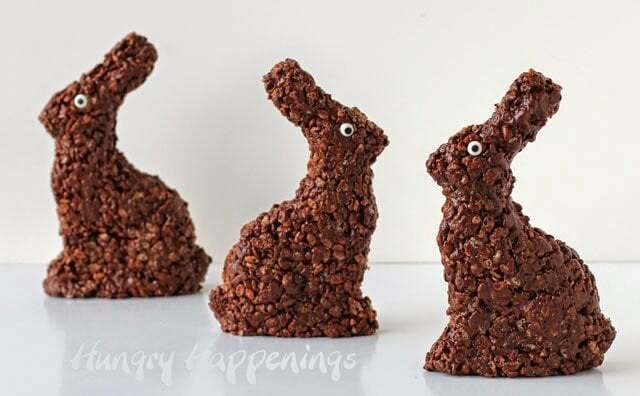 These Cocoa Krispies Easter Bunny Treats are so delicious and will make sure your kids don’t overload on chocolate or waste what they don’t eat. My best friend loves rice krispies treats, they are her absolute favorite dessert, and her kids are huge fans of them too. 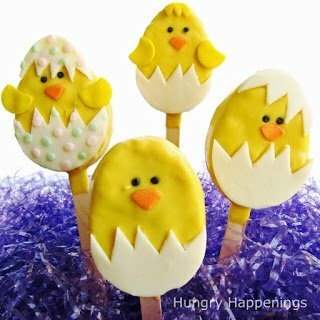 She’s been buying Easter chocolates from me for a long time and every year I create a fun new cereal treat for in her baskets. This year, I got carried away and have made three sweet designs. 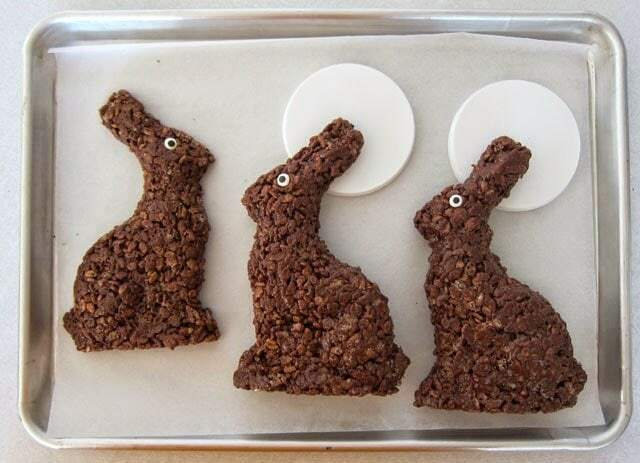 Today, I’ll share the first, my Cocoa Krispies Easter Bunny Treats. One of my friend’s daughters likes chocolate, but never finishes eating the chocolate Easter bunny that is always the centerpiece of her basket. She takes a few bites, wraps it back up then it ends up sitting in the basket for months before my friend finally finishes it for her. So, this year, instead of a big chocolate bunny, she’ll be getting one of these cereal treat bunnies and I expect to hear the entire thing is eaten. It took me 15 minutes, start to finish, to make two 8 inch 3-D bunnies and one flat bunny. I could have made a 5 inch 3-D bunny instead of the flat bunny, but hadn’t grabbed the smaller mold from the basement, so I just made the half bunny instead. 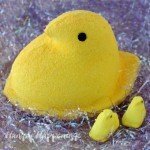 I’m not positive, but if you make the smaller 5 inch 3-D bunnies instead of the larger ones, you will probably get 5 bunnies, but I’m just guessing here.I put links to both the 8 inch and the 5 inch bunny molds at the end of the post. Be sure to buy both part A and part B of the larger molds. The smaller mold has both sides on one piece. *If you order this candy mold from Amazon, be sure you order both sides. For some odd reason, they are sold separately. 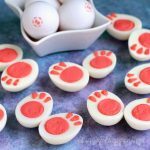 The exact mold that I used is no longer available, and the manufacturer has gone out of business, but it’s the same basic design and the link I provide at the bottom of the post. 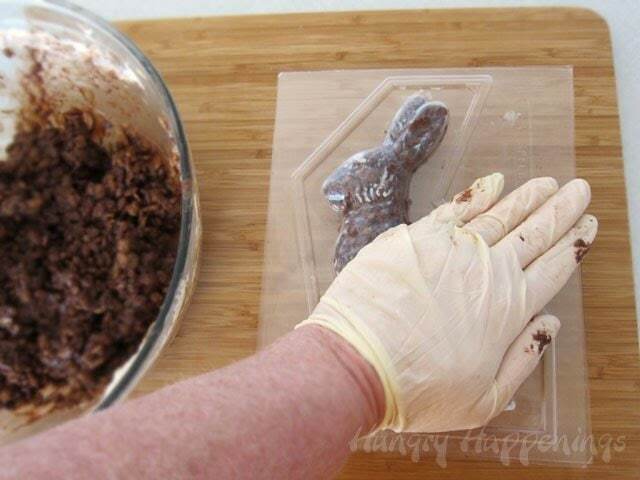 Grease the inside of the bunny mold and a rubber spatula with butter. Heat chocolate chips, butter and marshmallows in the microwave until melted. I heated it on high for 1 minute, then stirred, then heated 30 seconds, then stirred, and heated for 15 seconds and stirred. 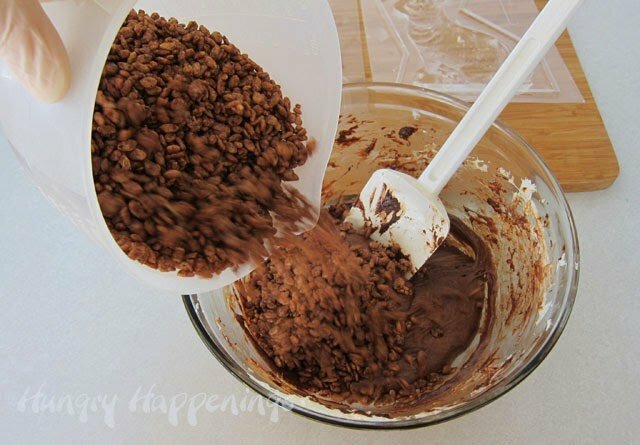 Pour in Cocoa Krispies cereal and stir. Put on your food handling gloves, and rub butter all over the gloves. Continue to mix using your hands. You can skip the gloves if you don’t mind greasy butter all over your hands. Press cereal treat mixture into one side of the bunny mold, mounding it up in a 3-D shape. Set the other side of the mold on top and press down to compact the cereal treat. Lift the mold off and fill in any areas that need more cereal then put the mold back together and press really hard compacting the cereal into a nice solid bunny. Peel off the mold. Add a bit more butter to the mold and repeat one more time. 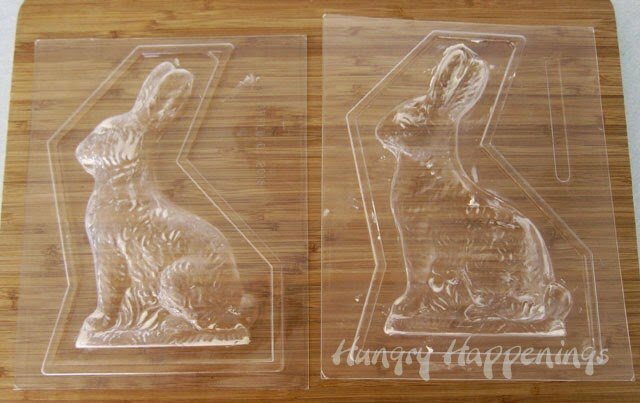 If you are making one half bunny, just fill one side of the large bunny mold. 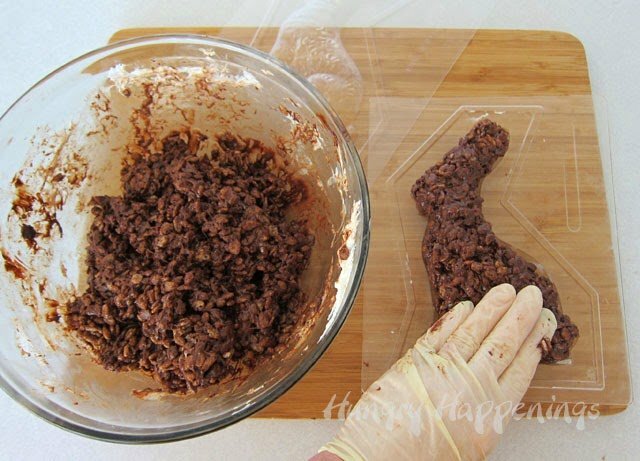 If making a smaller bunny, be sure to grease that mold before filling it with Cocoa Krispies treats. 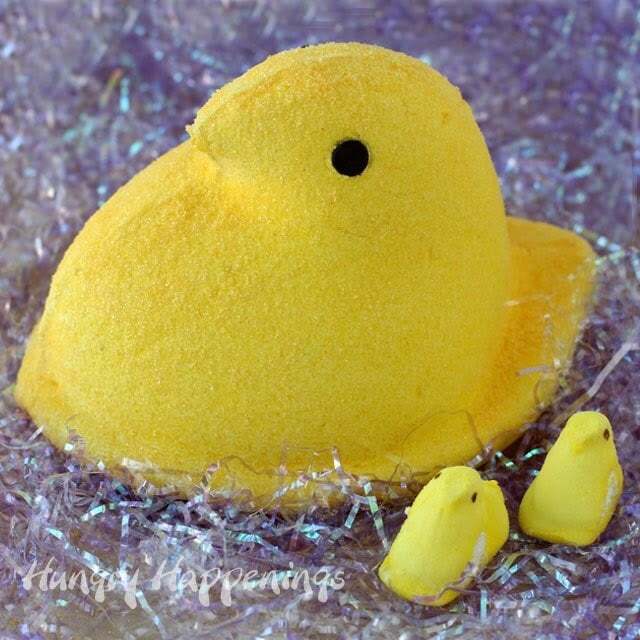 Press candy eyes into each bunny head. So that my bunny ears didn’t bend, I set a plastic lid under them before putting them in the refrigerator for 15 minutes. 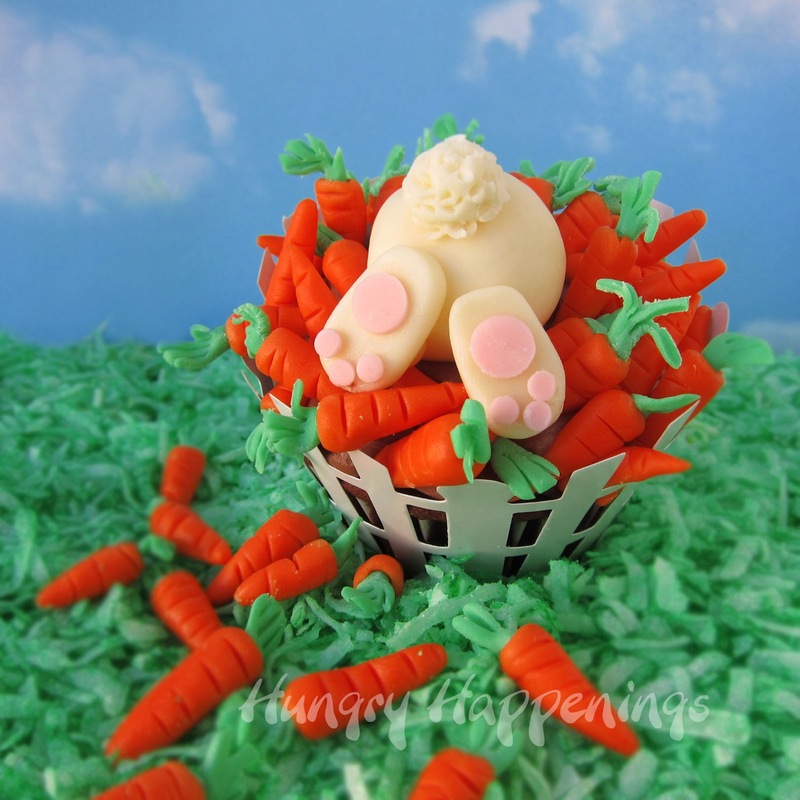 The Cocoa Krispies Easter Bunny Treats sit nicely in a candy filled basket. I do recommend wrapping them in clear cellophane bags before adding them to a basket. If you make them ahead, store them in an airtight container. They should keep for about a week. 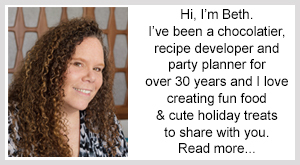 Such a great idea Beth!! 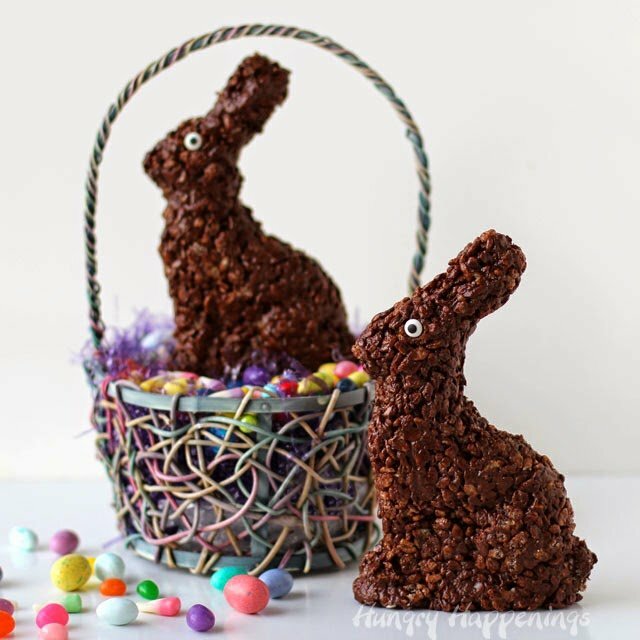 That cocoa Krispie bunny is SWEET, would you believe I've never made a cocoa kirspie treat? 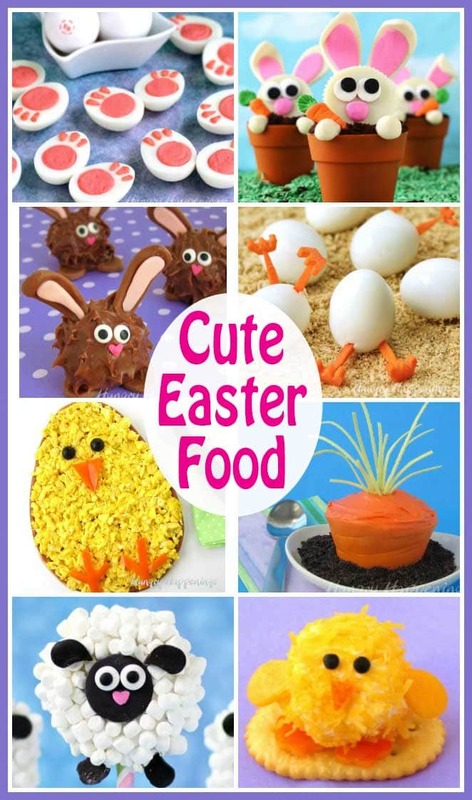 I sure can't and now I can't wait to make one! 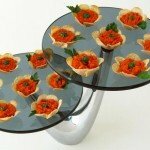 Super cute centerpiece for a basket! I love chocolate, so I actually prefer cocoa krispies treats over the traditional kind. 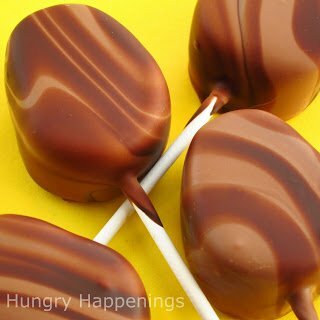 I know you love chocolate too, so you should definitely try them. Waking up on Easter Sunday as a child, we always had an Easter basket filled with goodies. The one thing I remember from those baskets were the chocolate bunnies. I too would eat just a few bites at a time..but I never had any leftovers! 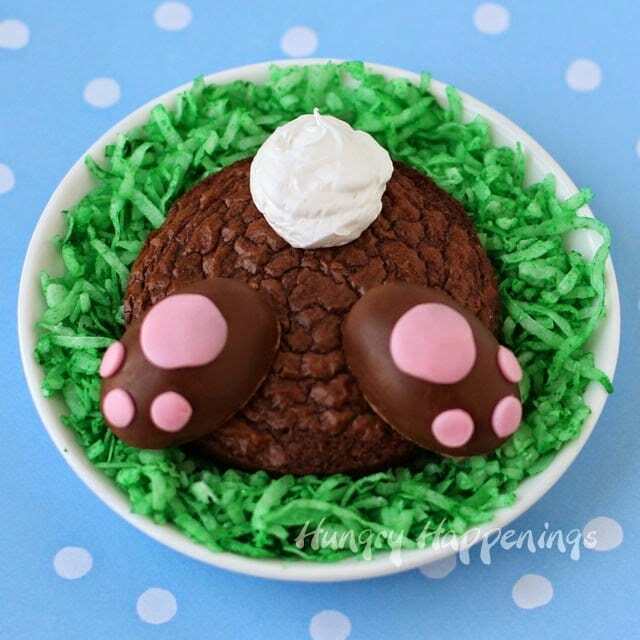 This bunny looks so yummy! 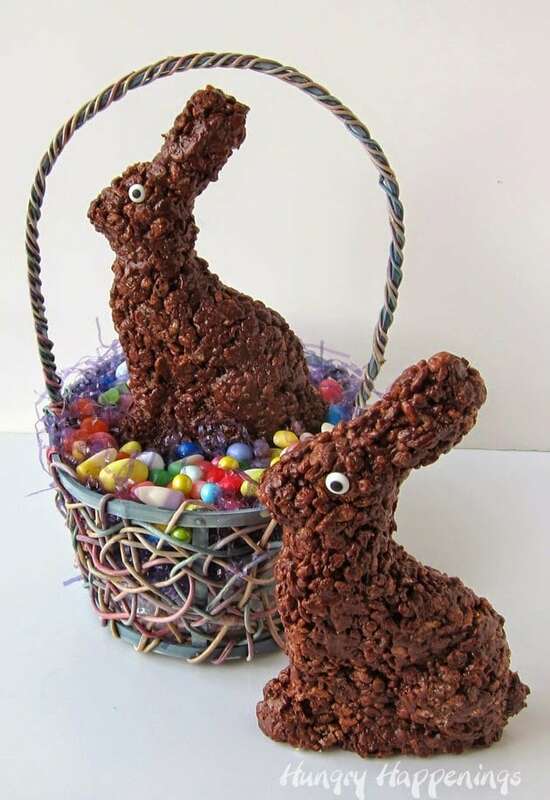 My grandbabies will be over in a few days to color eggs, I think I might just surprise them with one these awesome cocoa krispie treats. Love this idea. 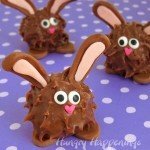 I always looked forward to getting a chocolate Easter bunny each year. 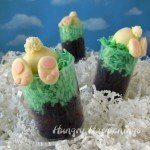 We never had candy in the house except at the holidays, so I cherished my bunnies and ate every bite. I hope you have fun with your grandbabies.